Here should be a report for our investment club. But this project failed to pass our due diligence, especially in the part of data consistency and the founders background check. I won't give any links here. You can simply search Habibicoin top personalities, controversy was all over internet for quite some time. We dag into the public allegations and found some supporting evidences, enough to call the project shady. I'm not going any further, because that is enough already to stay away from any business with it. The idea: the vision is nothing revolutionary or solid. There is no problem with making some realistic project and seek money for that, but in that case you have to show the ability and the bulletproof executive team profile, which is by far not the case here. The team is not transparent. Most team members have no or multiple social media profiles with contradicting data on them. Some have newbie and almost empty social network accounts. Some team members even failed checks for their actual country of residency (no birth or immigration records found to match the person, no public records of the name change either). All that may be just a missing data and/or a bad ICO management, yet this is definitely a red flags array. Also, some marketing events and promotional materials of Habibicoin have a distinct taste of BS (at best). Finanacial projections honestly wouldn't even have any value for review considering other facts, but they alone are way overoptimistic from the investment perspective. Risks analysis looks avoided, disregarded and/or neglected. 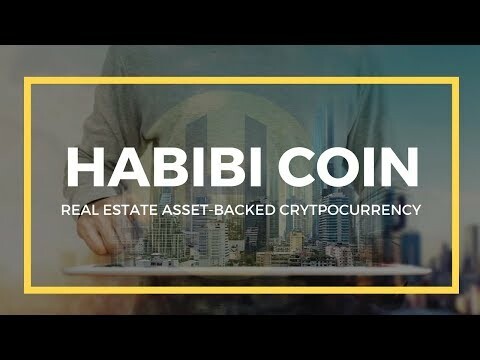 Several things about Habibicoin look "a bit off", please be extremely cautious considering any business or investment with in this ICO. Great Project and should help disrupt the real Estate mortgages for now and in the future. The project will be aimed to start in the middle east and then spread globally to help others around the world.